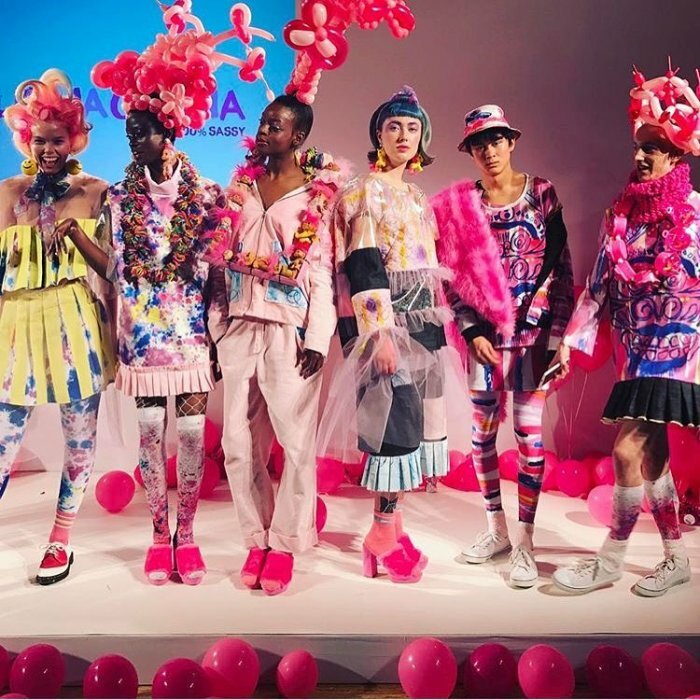 Welcome to the wonderful world of Balloon Fashion... Balloon Haute Couture at it's best. 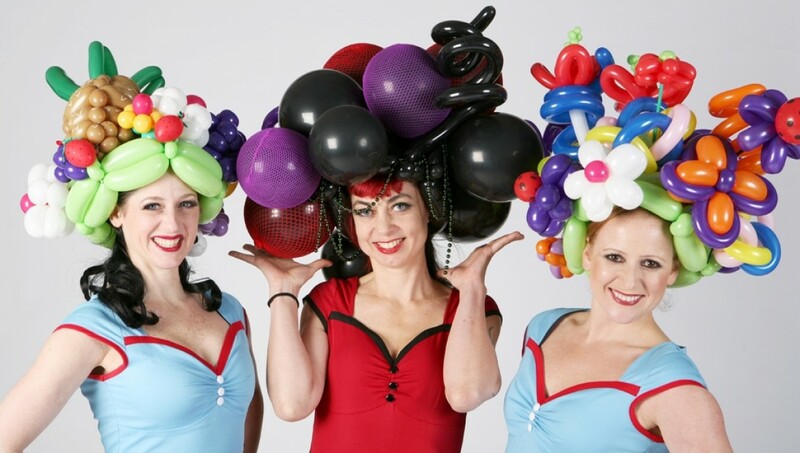 The Belles are incredible balloon modellers and creators of wearable art. Offering their totally unique and signature Balloon Boutique. 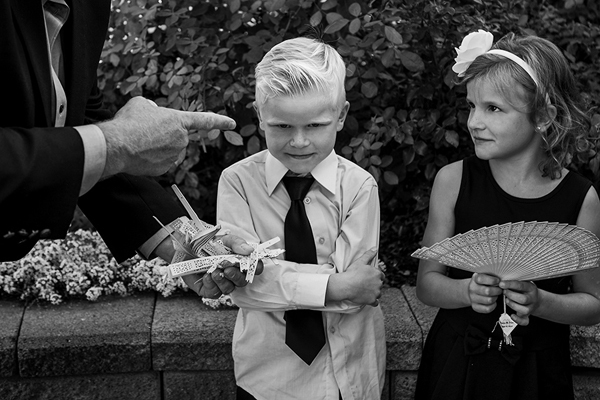 Perfect for injecting glamorous fun and making your guests the stars of the show! In addition to the usual balloon modelling antics, they also offer our unique Pop up Balloon Boutique! 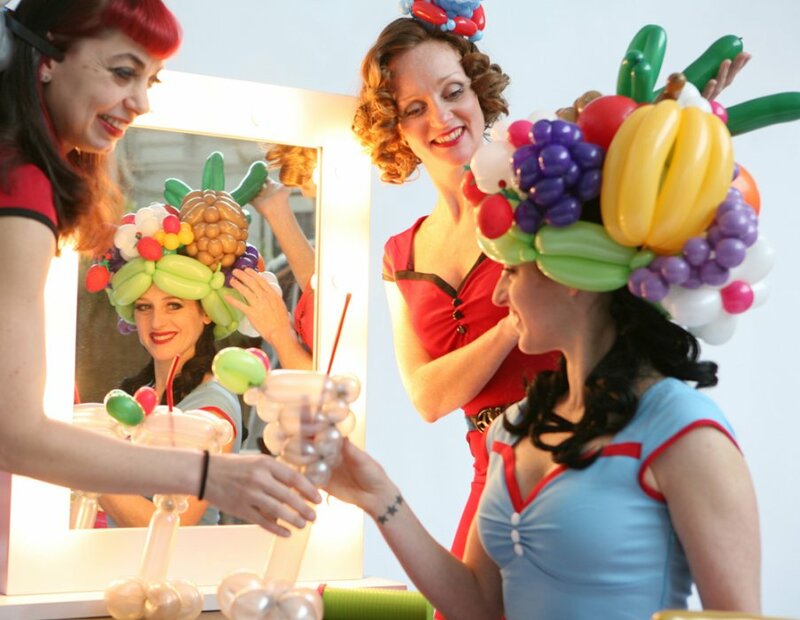 A fabulous balloon makeover station with a Hollywood mirror and glamorous balloon stylists who dress people up in fantastic balloon creations, from Carmen Miranda headdresses and Rasta hats, to fascinators and accessories. Full of fun, Belle's Ballooning Boutique make the guests the stars of the night! This is an installation which requires at least 2 Belles. They require a table, chair and 240v plug socket. 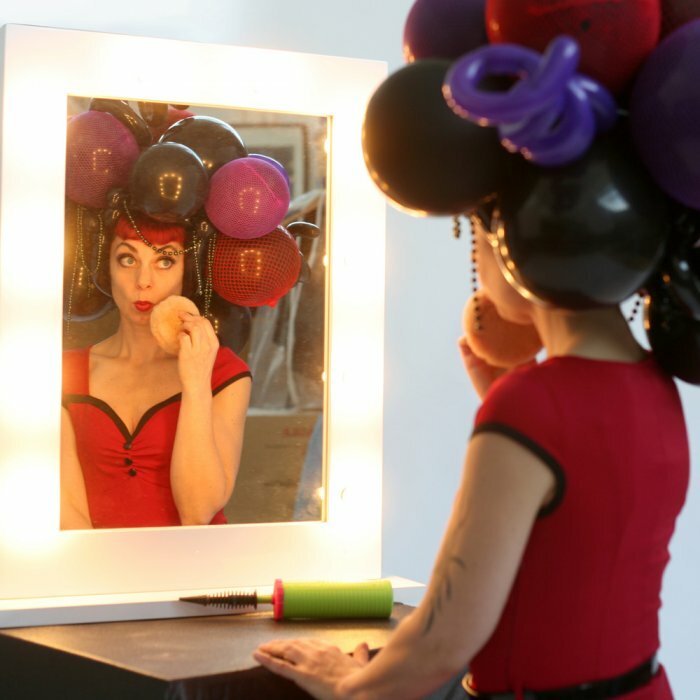 The act will supply an illuminated mirror, balloons, accessories and loads of entertainment! Belle's Ballooning Boutique is the perfect way to spice up any event. 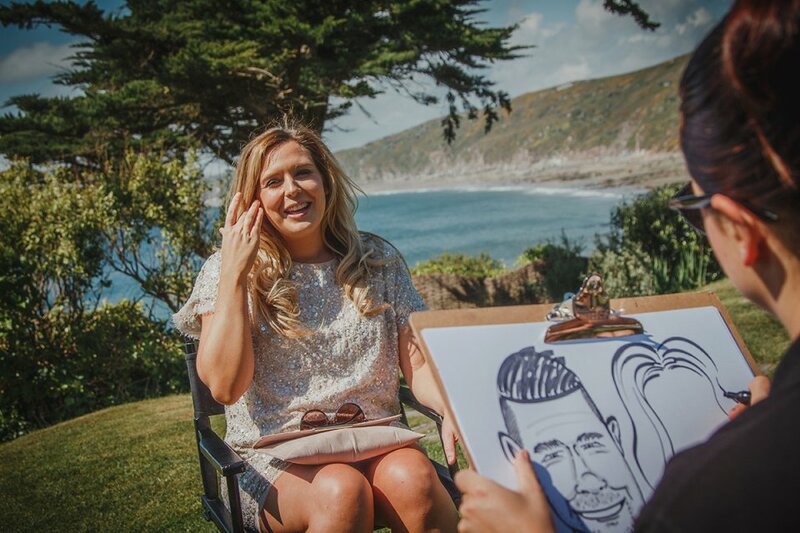 Book them alongside a photo booth to give your guests a totally unforgettable experience. Prices for Belle's Balloon Boutique are estimates for two Belle's and the boutique with travel, for accurate prices and walkabout prices (without boutique) please contact Warble Entertainment. Minimum 2 performers. 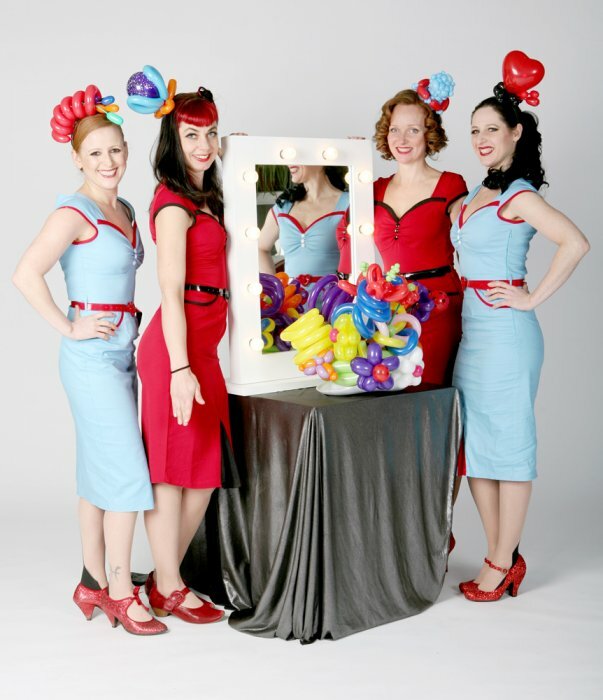 The Belles can provide additional performers to accommodate any size event. Very entertaining, have recommended them to another party. Had lots of positive feedback from guests who loved the balloon modelling. She was very bubbly and pro-active will definitely have her back again at Sandown. Happy New Year to you all! There have been many adjectives to describe the Imagination Christmas party, I am sure you have your own favourites!! But with your talent, commitment and dedication we have all achieved the impossible. A very heartfelt thank you for all your hard work. Can I book more than two Belle's for my event? Yes, the Belles can accommodate any size event. For the Belle's Balloon Boutique we require a minimum of 2x3 metres to fit a table, mirror and 2 chairs. What does the Balloon Boutique require? 1 tressle table, 2 chairs, 1x240v plug socket and a secure changing room. Can I book just a balloon stylist for walkabout? Yes! 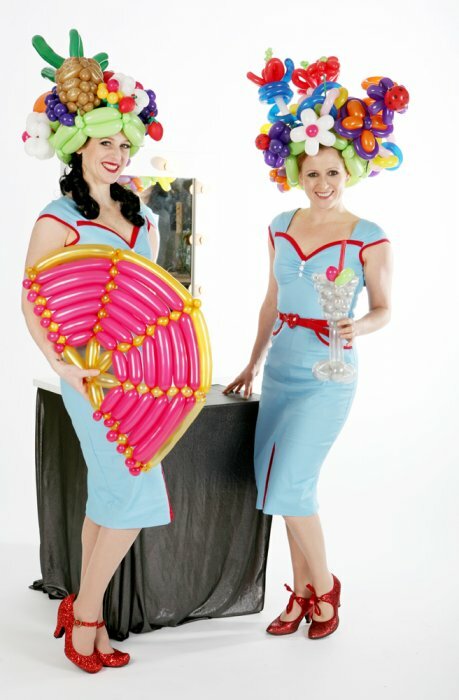 You can book two or more Belle's for walkabout balloon modelling without the boutique. This is slightly cheaper as there is no pre-prepping of balloons involved. Can provide additional performance sets if confirmed in advance. Customers who have enquired for Belle's Ballooning Boutique have also been interested in the following entertainers also available in London, South East. For more information or further options, please call 0845 643 9384.